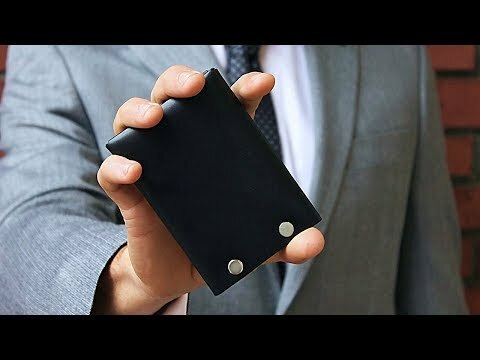 These American made wallets are handcrafted from a single piece of premium vegetable-tanned leather and secured with metal fasteners. Made without thread stitching and built to last. 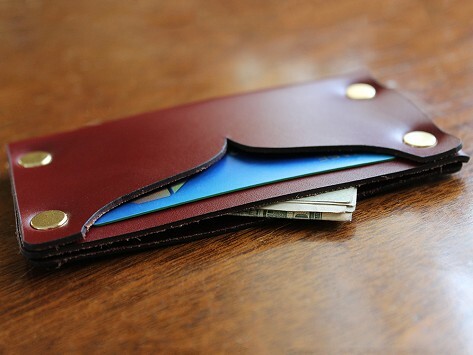 Dimensions: 4.75" x 2.5" x 0.19"
This is the best cardholder I have ever owned. I like it because it is made from one piece of leather. It is riveted together not sewn. Made well. Like it a lot. When you are able to find what you are looking for to purchase, it is fairly easy to place your order. Cards slide in and out easily. No more yanking to get to my credit cards or drivers license. Getting better with age.